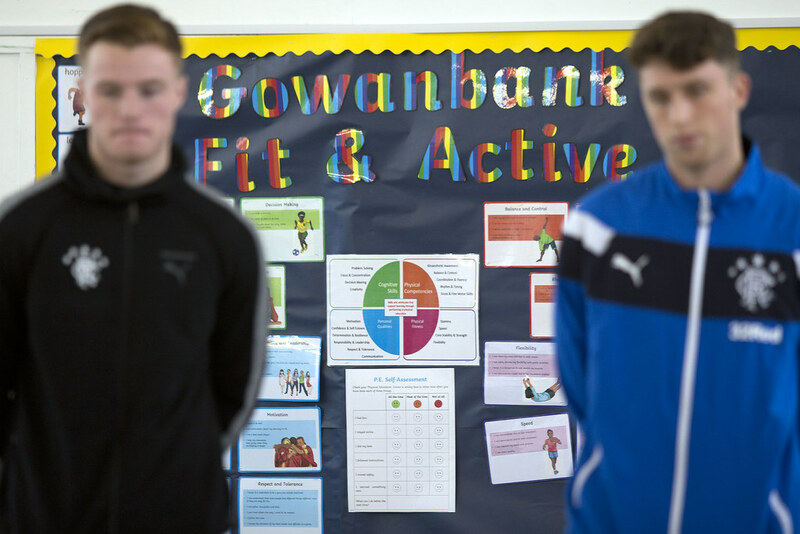 Rangers players Jamie Barjonas and Aidan Wilson visited Gowanbank Primary School yesterday (Wednesday 22 November 2017) to help inspire a generation of young pupils on the benefits of a balanced diet and exercise. 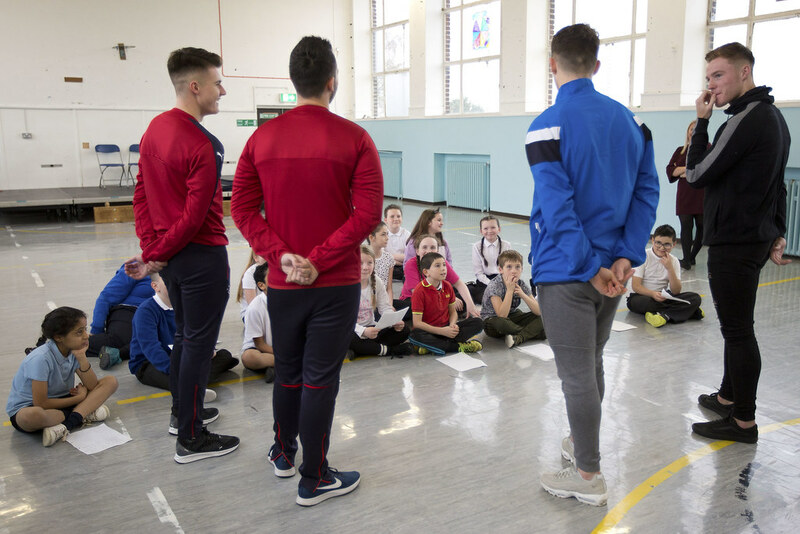 The Rangers Charity Foundation is working with 30 schools in Glasgow as part of its +Sport Move Learn CSR project with Ferrero and the SPFL Trust. The project will see Rangers community coaches deliver lessons on topics including nutrition and activity to 1,800 nine and 10 year olds this season. 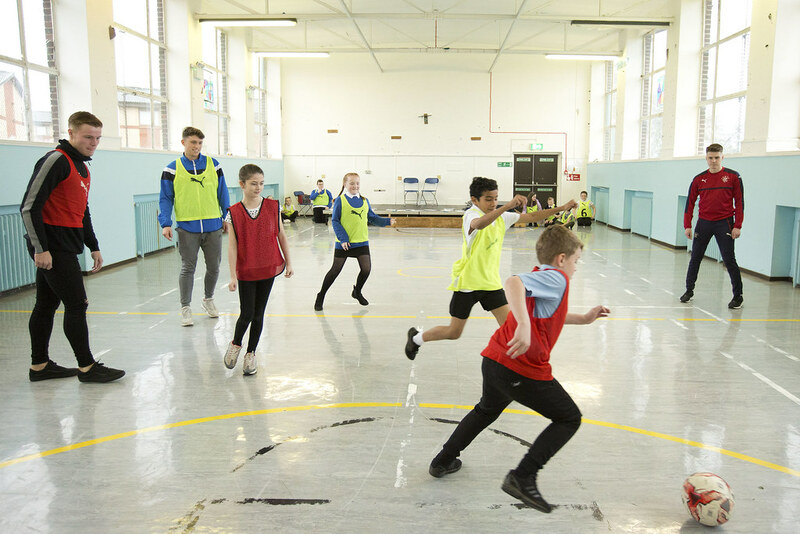 Each class will receive six weeks of lessons with each week consisting of a 45 minute classroom session addressing topics such as nutrition, hydration and exercise followed up with a 45 minute practical football session in the gym hall. Jamie and Aidan dropped in on the pupils at Gowanbank and took part in a special Q&A session. Jamie said: “It was great to meet with all the pupils and see what impact the Foundation is having in their lives. “It is a brilliant project,” added Aidan. “I would have loved to have football coaches coming to school and teaching me when I was their age. 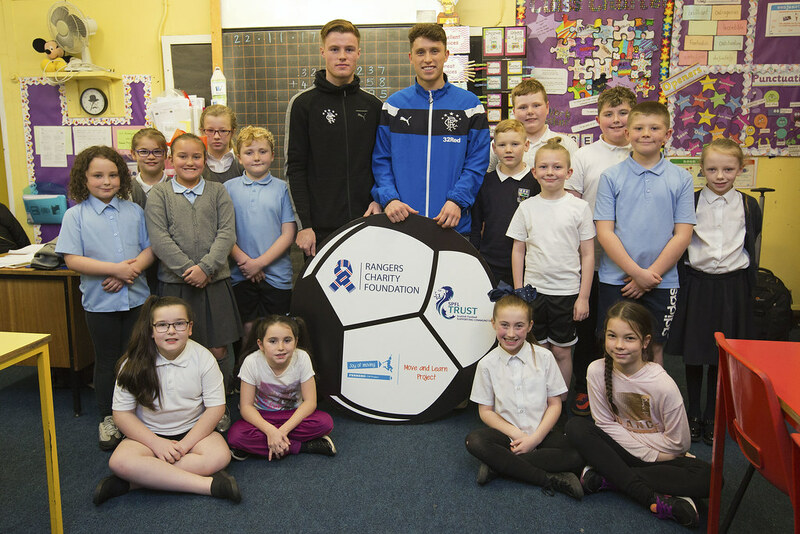 “What the charity foundation does in the community is really special and it was good fun being involved today.”Jordan Boyd, Rangers Charity Foundation Senior Community Executive, said: “It was great to have Jamie and Aidan along to Gowanbank Primary School today. “+Sport Move and Learn is all about trying to encourage future generations to embrace an active and balanced lifestyle. 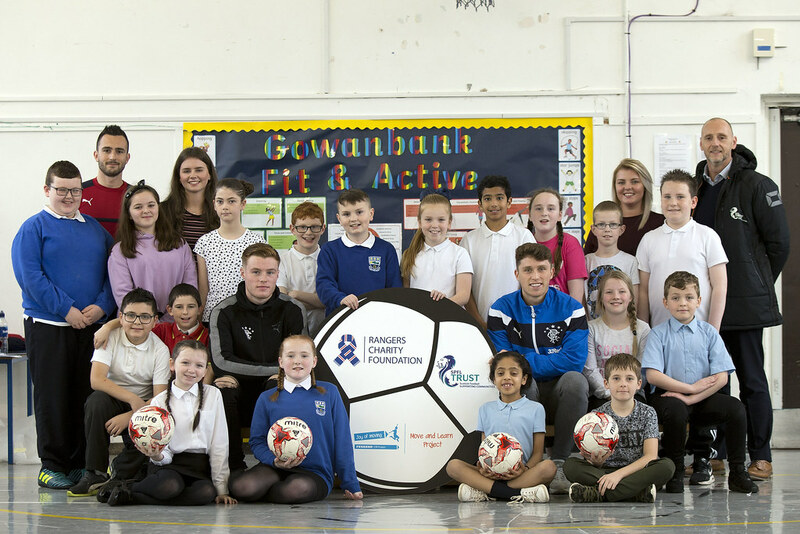 Christie Lamb, Gowanbank Primary School Class Teacher, said: “The Rangers coaches have been a fantastic addition to our health and wellbeing lessons. There has been an excellent balance between physical activity in the gym as well as life skills being taught in class. Nicky Reid, SPFL Trust Chief Executive, added: “It’s wonderful to be able to showcase the great work Rangers are doing through +Sport Move and Learn. It’s a fantastic programme that really focuses on making healthy lifestyle choices – much like a professional footballer has to do. 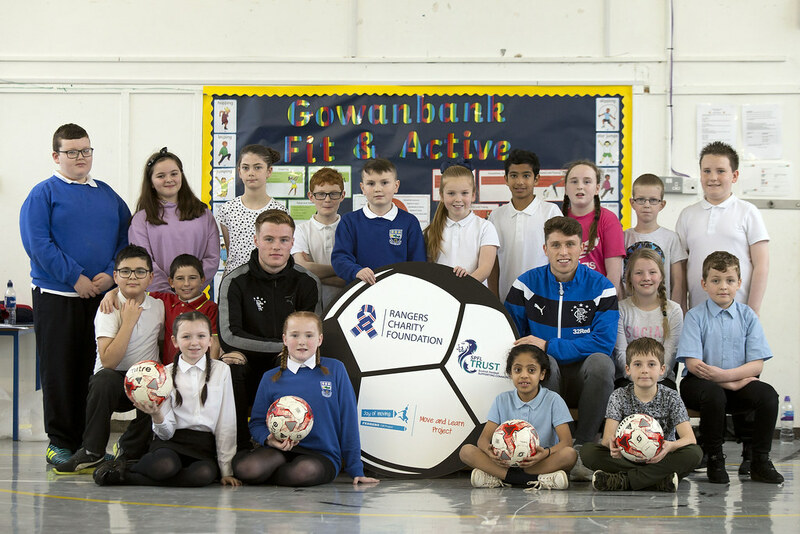 “To have Jamie and Aidan here today at Gowanbank Primary School is not only really exciting for the pupils but also demonstrates the commitment that Rangers and the Rangers Charity Foundation has to their communities. A spokesperson from Ferrero who fund the project said: “We are delighted to be working with Rangers again this year for the +Sport Move and Learn Project, an integral part of Ferrero’s Kinder + Sport Corporate Social Responsibility programme.